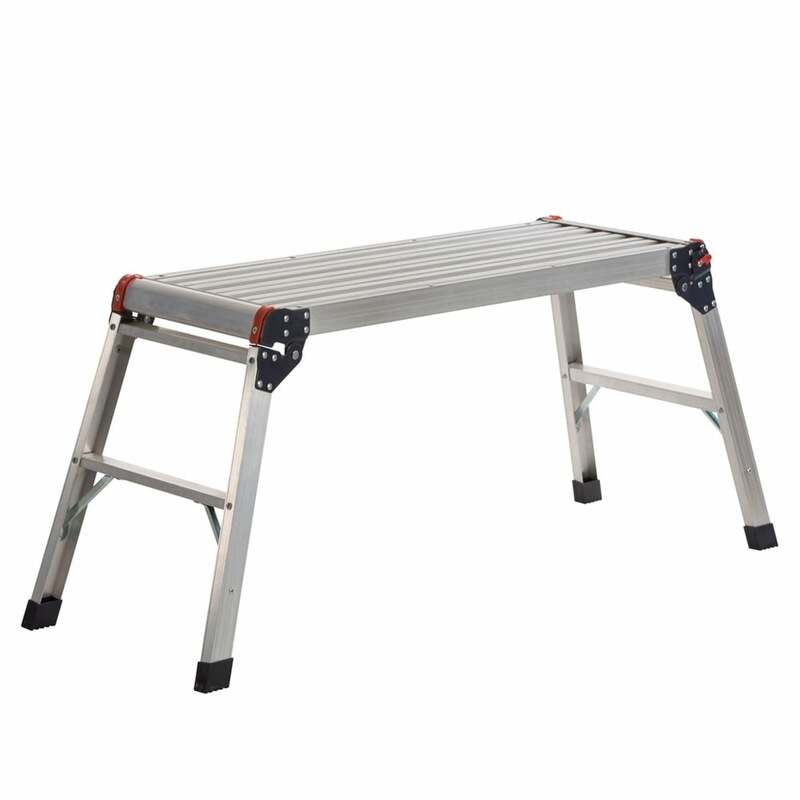 Lightweight aluminium construction, non-slip treads and platform provide a stable work surface. Fitted with anti-slip rubber feet to provide a stable base. Legs fold away for compact storage. Max. Safe Working Load: 150Kg.